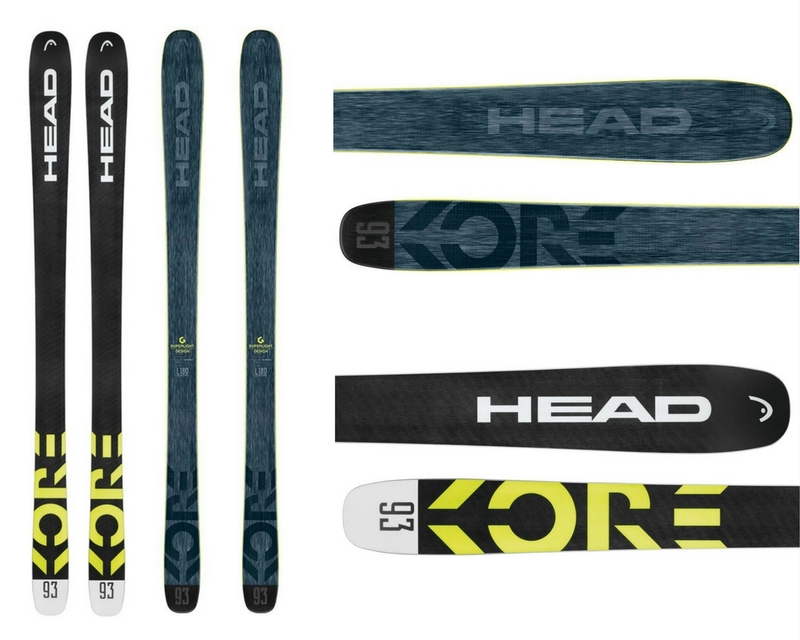 A very fun, very versatile ski, the Head Kore 93 is a little less powder hungry than its big brother, the Kore 105, but has a little extra pop on piste. Like the Kore 105, this ski will really allow you to leave your comfort zone safe in the knowledge that you have a dependable, solid base underfoot. 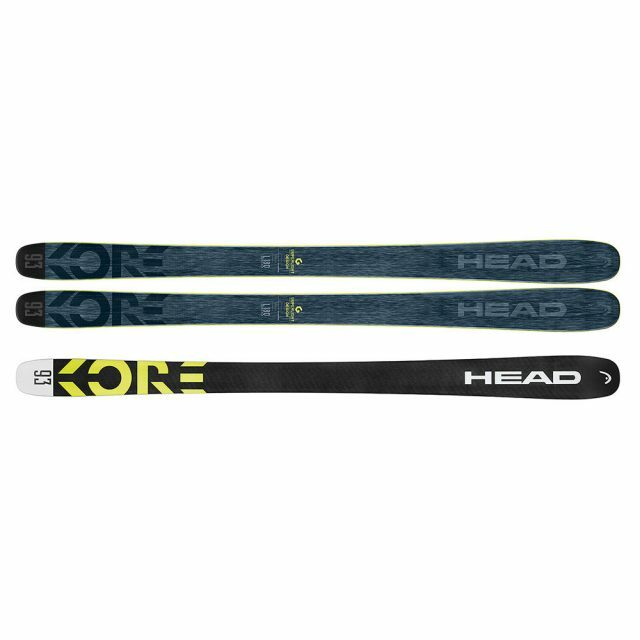 The Head Kore 93 is very easy to turn and is very lightweight on your feet so does not tire you out as some other skis in this bracket might. When it comes to turns, we found the 93 much nicer than the 105. It is super responsive edge to edge and grips really well, particularly on piste. It does well at high as well as low speeds, maintaining this grip and stability regardless of condition or speed. If you are stuck choosing between the Head Kore 105 and the 93, it really depends on what you like to do on the ski. The 93 is just a bit more nimble through tight situations than the 105 so perhaps better for those who like a bit of adventure through trees or moguls. The 105 on the other hand feels a lot more comfortable in deeper snow. On deep snow, the 93 feels like it needs to be just a little bit wider in order to really make the most of the conditions. While it’s perfectly adequate in the powder, but if you are looking for a more powder-focused ski, perhaps think about the 105 instead. However, the 93 does have the same hard charging feel that we loved in the 105 as well, and it cuts through bumps and churned up snow with ease. This really is a great ski for someone looking to have a lot of fun this winter; it loves to jump and is solid on landings so will really help you make an adventure out of any terrain. Solid on landings and take off, it allows you to really grow in confidence and this faith in the ski allows you much more faith in your abilities. To read more reviews of this season’s top skis and other gear, click head to our ski gear reviews section.